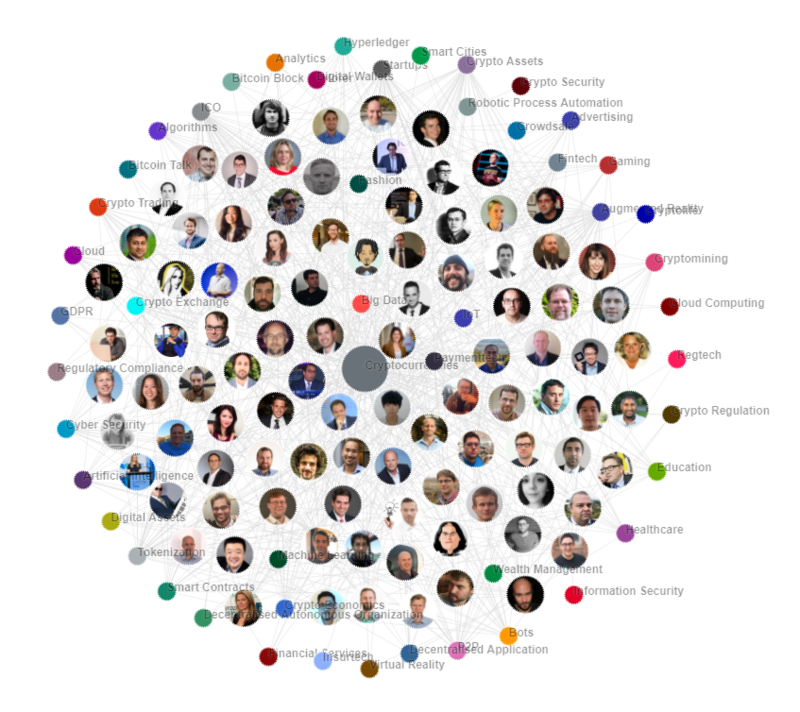 GlobalData researchers have found the top influencers in blockchain, based on their performance and engagement online in the past 90 days. Verdict looks at the top influencers in blockchain with help from GlobalData’s influencer platform. Bio: Rochard founded Bitcoin Advisory in 2018. He also co-founded the Satoshi Nakamoto Institute in 2014 and co-hosted the Noded Bitcoin podcast in 2017. He was a software engineer for Axial for over a year and a senior accountant and programmer at Hudson River Trading. As a crypto trader or investor, you get to experience both raging bull markets and painful bear markets a year apart. A decade worth of market experience in a year. Same for managers of crypto firms. A decade of experience in a year. Silver lining of hypervolatility. Bio: Paul is an investor with a background in derivatives trading and institutional investing. He is chief information officer and managing partner at BlockTower Capital and previously worked with The University of Chicago as portfolio manager and Susquehanna International Group as a derivatives trader. I once spoke at the Detroit Economic Club about Bitcoin. That was a big deal for me. I used to do a LOT of Bitcoin outreach. Bio: Hayden is the chief executive officer at XRP, former community manager at Edge and director of operations at Infotrieve. Bitcoin Satoshi Vision is the real Bitcoin Cash. Bio: Lee is the creator of Litecoin, ex-director of engineering at Coinbase and managing director of the Litecoin Foundation. He was previously a software engineer at Google. PayPal says its bank account withdrawal fee is $1, which is true. BUT, the conversion rate is where they get you. I received $1,000 this week from a friend. PayPal shows $955 as withdrawable amount. Bio: Young is a journalist for Hacked, CryptoCoinsNews and CoinTelegraph and contributes to Forbes. Previously, he was founder and director of finance, technology and bitcoin news agency Requixite Media. I just published 96 Theses for Crypto in 2019. Bio: Selkis is founder and chief executive officer at Messari. Before this, he was managing director of CoinDesk and director of growth at the Digital Currency Group. He was also an analyst at JPMorgan. Tomorrow is a very important day for $SPX, the $ES futures are on a TD 9 Sell. Look for a possible top tomorrow at 10-11am followed by a 1-4 day correction. Bio: Vays is a self-employed consultant and researcher on cryptocurrency and blockchain. He was previously head of research at Brave New Coin and research analyst at CoinTelegraph. He was also a senior financial analyst at Axioma and financial systems analyst at JPMorgan. Bio: Lingham is a co-founder and chief executive of Civic Technologies. He is also general partner at Multicoin Capital and board member of The Bitcoin Foundation. He also co-founded Gyft, a digital gift card platform backed by Google Ventures. Bio: Brotoshimoku is a trader at Techemy Capital and contributor to Brave New Coin. He has also contributed to Bitcoin Magazine. Bio: Antonopoulos is chief technology officer at Third Key Solutions and was previously partner at Nemertes Research and director at ThruPoint. He wrote ‘Mastering Bitcoin,’ ‘The Internet of Money’ and ‘Mastering Ethereum’. The analysis provided by GlobalData is based on relevance, the number of followers, connections, online engagement and expert analysis. Influencers are evaluated on a series of specific keywords related to blockchain, which they have tweeted in or around the last 90 days. A more detailed daily analysis is available for GlobalData subscribers.